Gluten Free Cinnamon Almond Coffee Cake. 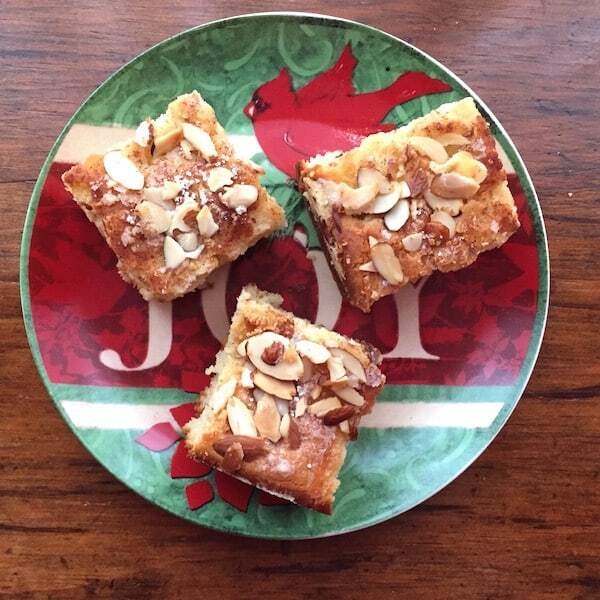 Hi, it’s Lois, telling you about my Gluten Free Cinnamon Almond Coffee Cake, which is based on one of Don’s family recipes, Garmer’s Coffee Cake. 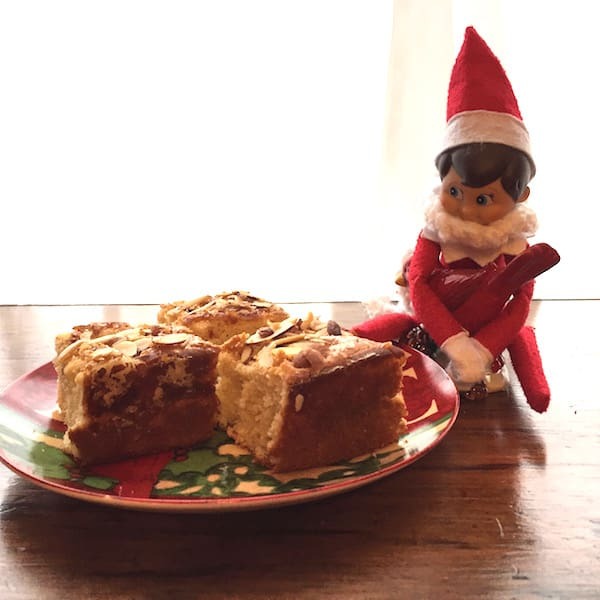 Don loves to have Garmer’s Coffee Cake on Christmas morning, but since I found out I have to avoid gluten, I have been converting our recipes to gluten free. Gluten Free Cinnamon Almond Coffee Cake is pretty simple to make, but it does involve yeast and letting the dough rise. The good thing about baking with gluten free flour is that you do not have to do a double rise; in fact, it will totally bomb if you do! El Cocinero loves Gluten Free Cinnamon Almond Coffee Cake. It seems more and more people are discovering they are allergic to gluten. 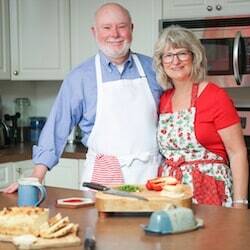 My first husband had a severe case of celiac sprue when he was a kid. He thought he grew out of it when he became a teenager, but in his 40s he learned that he was still allergic to gluten (and therefore, wheat, oats, barley, etc.). It’s tough when your favorite meal is a hamburger on a bun! I had no idea what gluten was when I was married to him. And I no longer cook for him, but since others around me are allergic to gluten and I am quite sensitive to it, I generally cook and bake gluten free. Our Gluten Free Cinnamon Almond Coffee Cake turned out beautifully. It was tasty and just the right texture. It’s easy to bake it too long so be careful, and take it out about 3-5 minutes before you think it is done. That is, if there are one or two crumbs clinging to the toothpick tester, it’s done! Take it out of the oven or it will be dry. 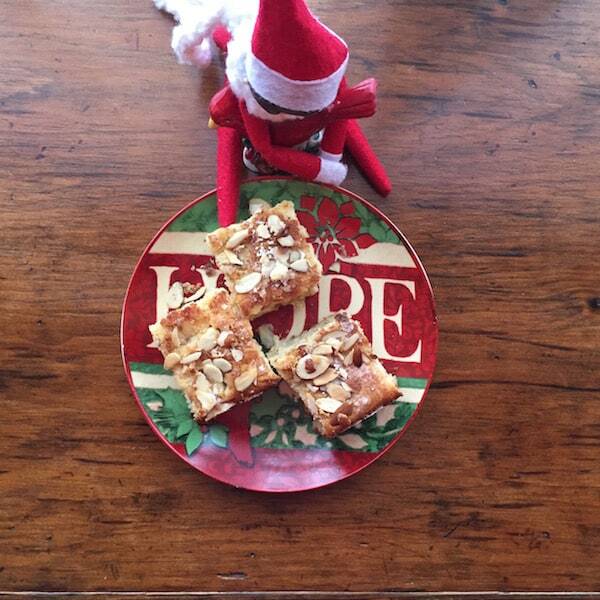 The elf is eyeing the Gluten Free Cinnamon Almond Coffee Cake! This recipe—the standard version, of course—is my current husband’s favorite coffee cake. We have it every year on Christmas morning. He calls it Garmer’s Coffee Cake. This is delicious just as is, especially warm, but we tried it with Don’s Homemade Chocolate Sauce on top and that was really good. Then again, I think chocolate makes just about anything better! Gluten Free Cinnamon Almond Coffee Cake freezes well. To freeze, when cool, remove it whole from the pan. Wrap it in foil. Then wrap in plastic and put into a heavy freezer bag. Remove the freezer bag and plastic wrap and place it in a 350F degree oven for about 20 minutes if it is frozen (or about half that time if it has thawed). It also ships well so you can bake one and send it to family and friends. You’re gonna wanna eat this. 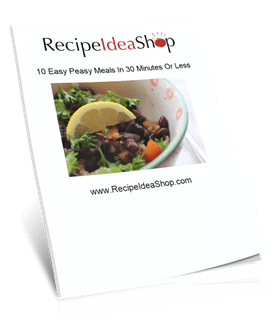 BUT FIRST, DID YOU GRAB YOUR FREE COOKBOOK? Add the yeast to the warm milk. Make sure the milk is not too warm or you will kill the yeast. Mix in the rest of the milk and add the gluten free flour, one cup at a time, and mix to combine. Add the salt, eggs, sugar, nutmeg, 1/2 the butter, and 3/4 teaspoon cinnamon. Mix to combine. Then beat on high speed for 3 minutes. I use my Kitchen Aid stand mixer. The batter will be thick, similar to brownies batter. Pour the batter into a greased 9" x 13" standard cake pan and spread evenly over the pan. Cut the rest of the butter into small pieces and dot the butter over the top of the cake (evenly). Sprinkle the remaining cinnamon and the powdered sugar over the top of the cake. Spread the almonds over the top of the cake. Let the cake rise for 30-45 minutes until doubled in bulk. Bake at 350F degrees for 25-30 minutes until a toothpick inserted comes out clean. NOTE: The total recipe time to "cook" includes 45 minutes extra because the dough/batter needs to raise to double in size. Gluten Free Cinnamon Almond Coffee Cake Nutrition. Each serving is one 2″ x 2″ piece of cake.